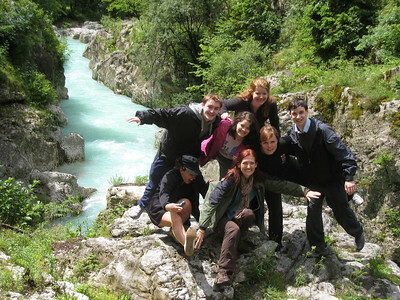 RTW 2009 pictures from Slovenia - including dancing the night away to some traditional music, the Pekel Jama Hell Cave, rafting on the Soca and a street theatre festival in Ljublijana! 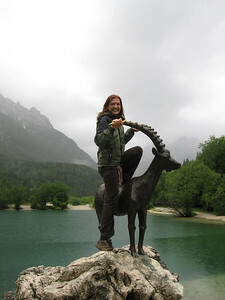 The Golden Goat of Slovenia! 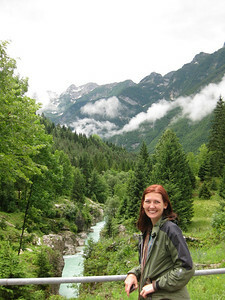 On the Emerald River Day Trip from Lake Bled, Slovenia. 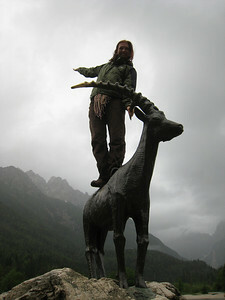 This goat is supposed to make the rain pass! 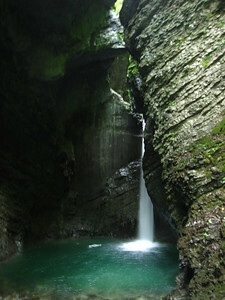 On the Emerald River Day Trip from Lake Bled, Slovenia. 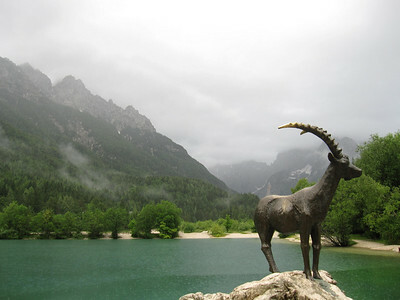 The Golden Goat in Slovenia On the Emerald River Day Trip from Lake Bled, Slovenia. 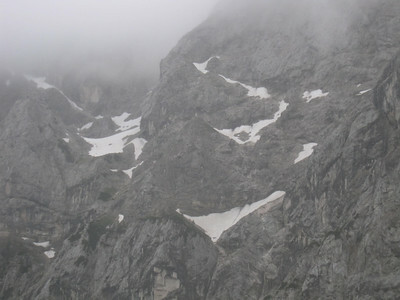 Smiling Face - Can you see it?! 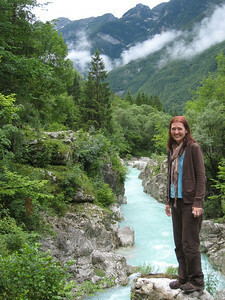 On the Emerald River Day Trip from Lake Bled, Slovenia. 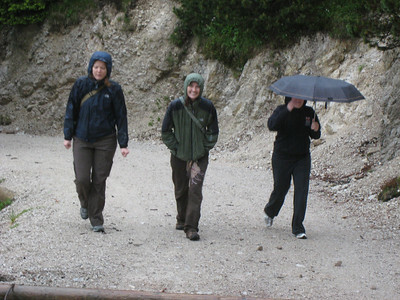 The cold and wet group. 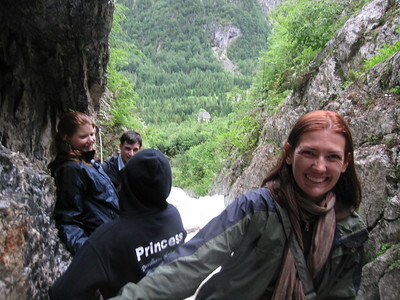 On the Emerald River Day Trip from Lake Bled, Slovenia. 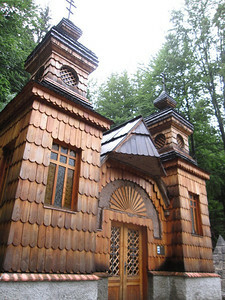 Church in Triglav National Park, Slovenia On the Emerald River Day Trip from Lake Bled, Slovenia. 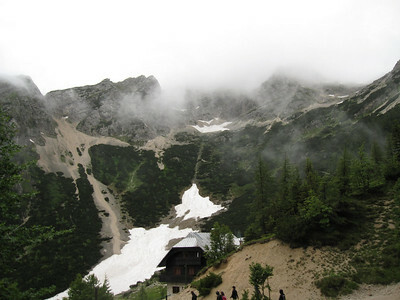 A Cloudy Mountian Hike On the Emerald River Day Trip from Lake Bled, Slovenia. 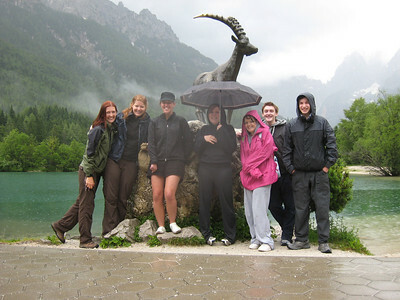 Cold and Wet and Rainy On the Emerald River Day Trip from Lake Bled, Slovenia. 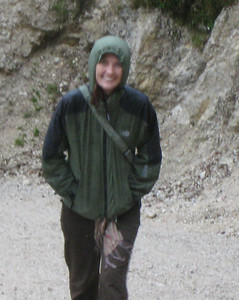 Rain jacket On the Emerald River Day Trip from Lake Bled, Slovenia. 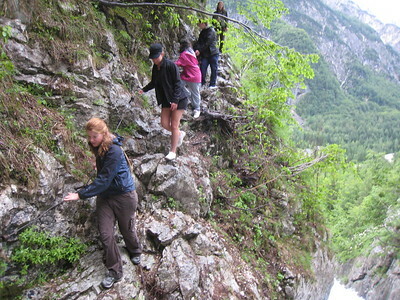 Scaling Cliff to the Mouth of the Soca On the Emerald River Day Trip from Lake Bled, Slovenia. 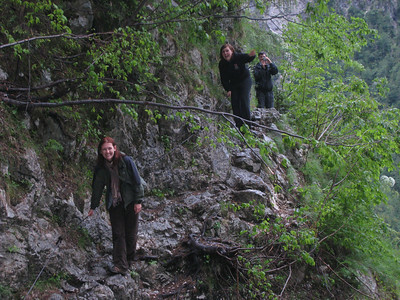 On the Emerald River Day Trip from Lake Bled, Slovenia. The mounth of the Soca River On the Emerald River Day Trip from Lake Bled, Slovenia. 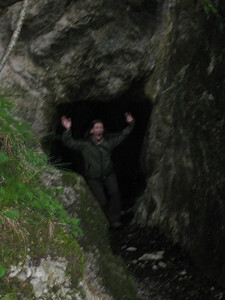 You want me to go where? 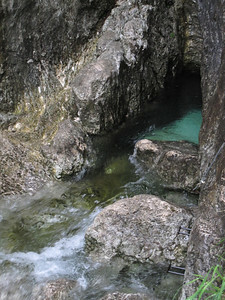 On the Emerald River Day Trip from Lake Bled, Slovenia. 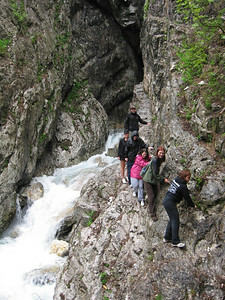 Everyone is trying to stand on one foot here On the Emerald River Day Trip from Lake Bled, Slovenia. 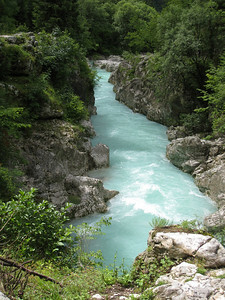 Icy Blue Waters of the Soca River On the Emerald River Day Trip from Lake Bled, Slovenia. The sun finally came out! 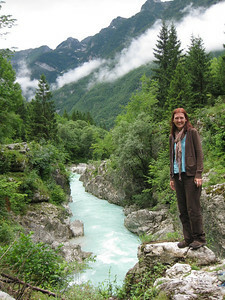 On the Emerald River Day Trip from Lake Bled, Slovenia. 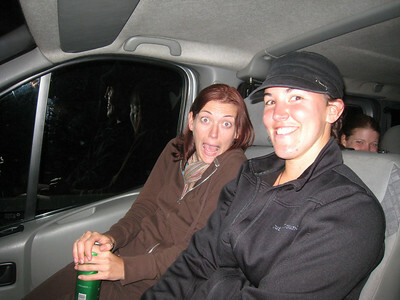 A tad redundant - but..The Soca! 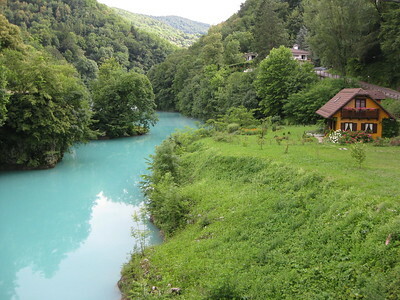 On the Emerald River Day Trip from Lake Bled, Slovenia. 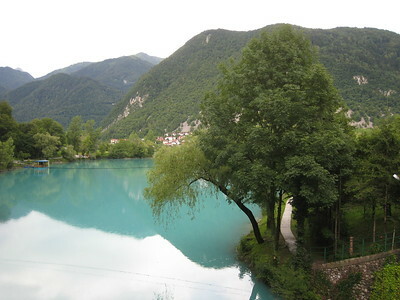 The Soca! 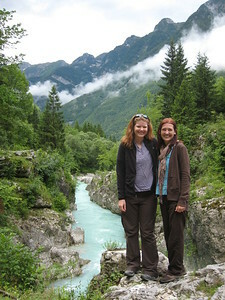 On the Emerald River Day Trip from Lake Bled, Slovenia. 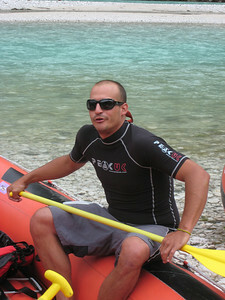 The Sadist - Aka My Guide On the Emerald River Day Trip from Lake Bled, Slovenia. 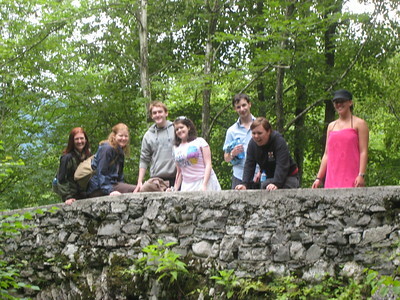 Group shot before hitting the rapids On the Emerald River Day Trip from Lake Bled, Slovenia. 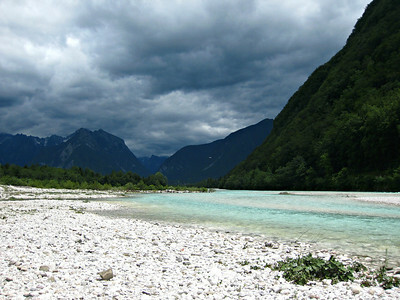 The Beautiful Soca River On the Emerald River Day Trip from Lake Bled, Slovenia. 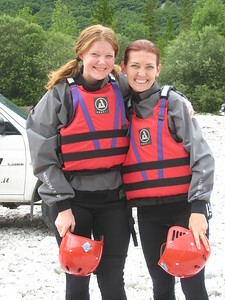 Learning the Ropes On the Emerald River Day Trip from Lake Bled, Slovenia. 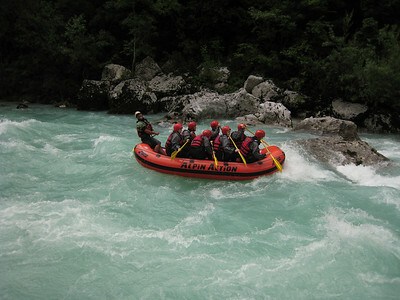 Rafting on the Soca River On the Emerald River Day Trip from Lake Bled, Slovenia. 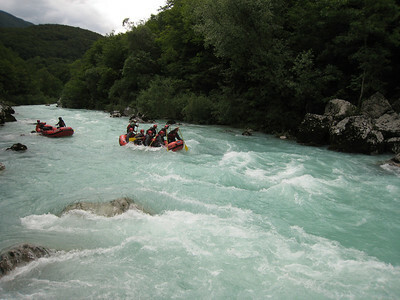 Hitting a Rapid on the Soca River On the Emerald River Day Trip from Lake Bled, Slovenia. 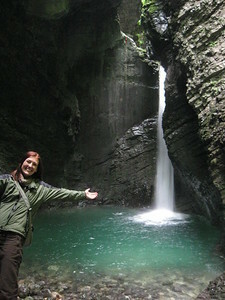 Gorgeous Waterfall On the Emerald River Day Trip from Lake Bled, Slovenia. 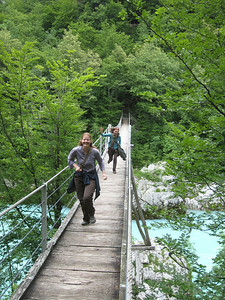 I am a Running Spaz On the Emerald River Day Trip from Lake Bled, Slovenia. 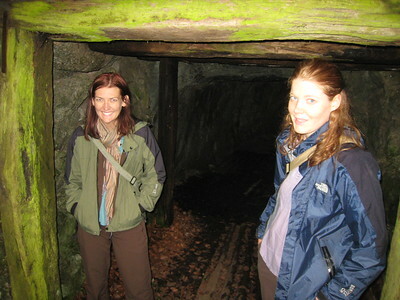 Huge Dark Tunnel - Oh no!! 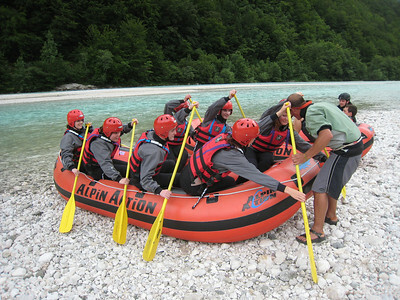 On the Emerald River Day Trip from Lake Bled, Slovenia. 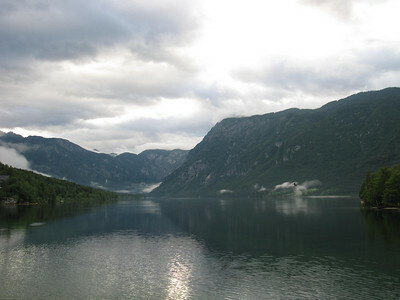 Enjoying a Cold Lasko at the end of the Day On the Emerald River Day Trip from Lake Bled, Slovenia. 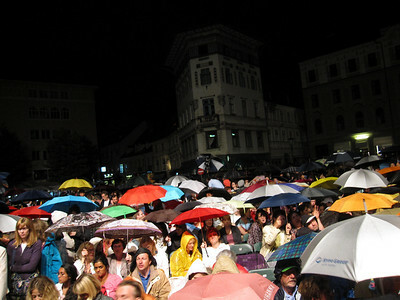 Rained Out at Swan Lake — At the Ana Desetnica Street Theatre Festival in Ljubljana, Slovenia. 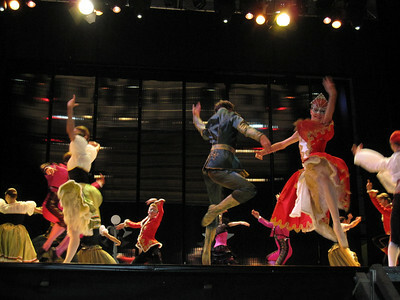 Swan Lake in Slovenia — At the Ana Desetnica Street Theatre Festival in Ljubljana, Slovenia. Umm....She's Touching Me — At the Ana Desetnica Street Theatre Festival in Ljubljana, Slovenia. The Pink Brigade — At the Ana Desetnica Street Theatre Festival in Ljubljana, Slovenia. 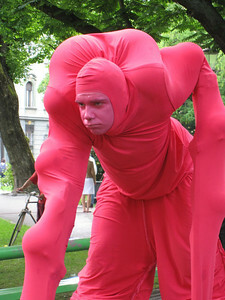 Huge Pink Guy — At the Ana Desetnica Street Theatre Festival in Ljubljana, Slovenia.